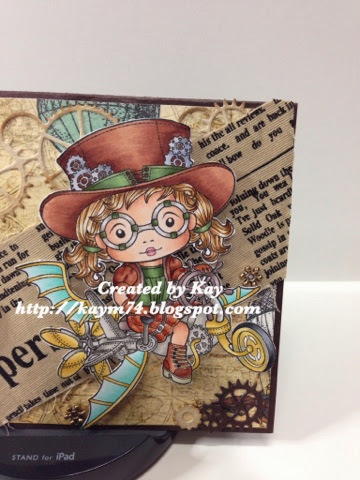 Cards by Kay : Just for Fun !! Hi there and welcome back to Cards by Kay today I have done something " Just for Fun" I have had this image colored up for a while and have not gotten around to doing anything with it ! I was inspired by the lovely Jenny Dix to get myself into gear and put this little cutie on a card ! 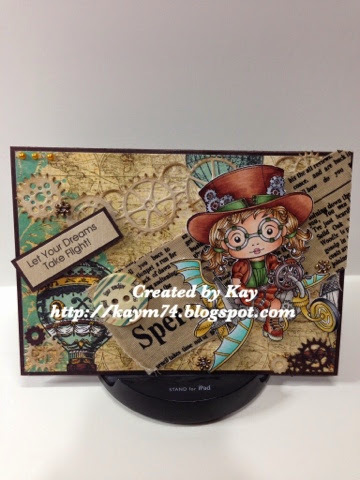 It may actually seem a bit too cute for ny blog but I had so much fun with this little bueaty from La La Land digi's . I have used Bo Bunny's Somewhere in Time Collection papers and worded material piece behind Marci ! And the sentiment comes with Marci when purchased !